Many may not feel our love until we really make an effort to put it into action. 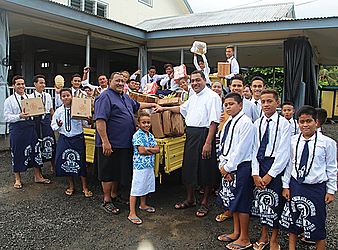 And this is what took place on Saturday as the ‘Matagaluega-o-le-Aiga-Pa’ia’ of the Catholic Church at Taufusi, Saleufi and Togafu’afu’a donated food and other goodies to the Samoa Victim Support Group. “This year, the Catholic Church is celebrating the amazing grace of our dear Lord and for today, the church is bringing that amazing love into action by donating all sorts of food and many gifts to the Samoa Victims Support Group, and other organisations,’ said Father, Losi Numia. “I think there are other Catholic churches that are also doing this, but for us here at the ‘Matagaluega-o-le-Aiga-Pa’ia’, we believe that putting this love into action is something that we have agreed to be part with. “This also reminds us that love is not just a word to preach about, but we need to make it happen. Father Losi Numia told the Samoa Observer that ‘for as the body without the spirit is dead, so faith without works is dead also. “Members of our church contributed many of the goodies and gifts and it was they who made it all possible with the continuous prayers of deacons, fathers, church members and especially the Archbishop, Alapati Lui Mataeliga. “Glory be unto God for the love that He planted in everyone’s heart to help and support others at any time, and in any place. “For we’re designed to put love into action for we also believe that God’s love perfect example is by sending His only Son to die for us. The Matagaluega-o-le-Aiga-Pa’ia’ is looking forward to continue this in the near future. 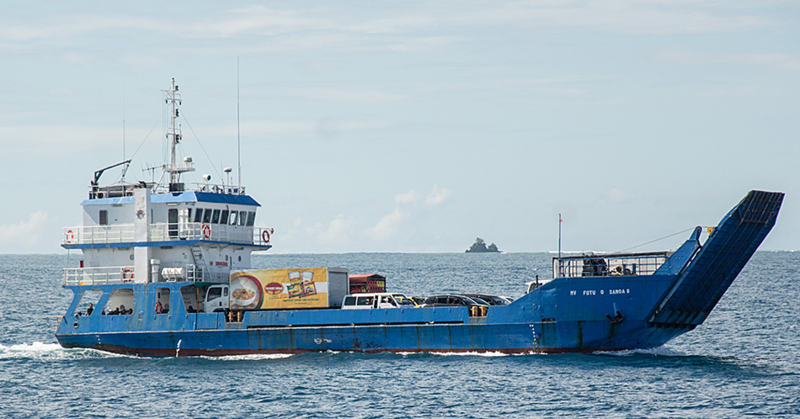 They will be visiting Mapuifagalele and other places in the next few days.